Hello and welcome to IGCSE Study Help! I'm Nicola and I'm currently studying for my IGCSEs which I'll be sitting in Summer 2016. 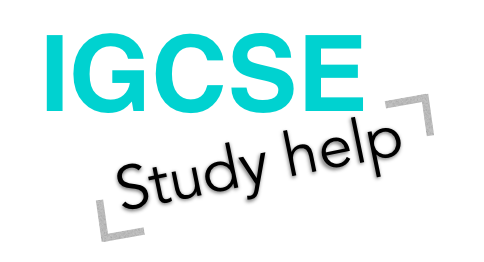 I couldn't find many websites that could help me with my IGCSEs, there were plenty for GCSEs but hardly any for IGCSEs, that's when I decided to start my own, so that I could help other people like me! I'm only including the notes for the following subjects on here: Biology, Chemistry and Physics. In the future I may include notes for other subjects but I've got a lot of studying to do! Disclaimer: I try to write my own notes, but some definitions from external sources are really good and have helped me immensely, so I have included some notes and definitions from textbooks, my tutor and other sources. Some posts may seem quite short, but I try to keep posts short and simple so that they're easier to understand.